Hi, My name is Erica. 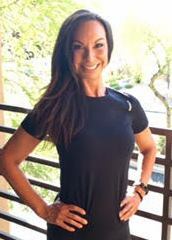 I’m a personal trainer in Fountain Hills AZ, North Scottsdale, AZ and the surrounding areas. I’ve been in the fitness industry for over 10 years now and I’ve worked at amazing health clubs such as Life Time Fitness and The Village. I’m lucky enough to have a career in a field I can say is my passion and I truly enjoy helping others maintain their fitness goals. I specialize in many areas, but my strength comes in helping women build a stronger/leaner core and body. I currently work full time teaching Pilates classes for a wonderful company.I enjoy implementing Pilates exercises into my workouts because it helps refine ones body and helps improve physical strength, flexibility, posture and enhances mental awareness. This is amazing to help lean and lengthen the muscles as well as strengthen abdominal muscles and this combined with a strength program we can do together, it’s a GAME CHANGER! I’ve also had years of experience as a boot camp instructor for two years, group fitness instructor, trained small group female training, one-on-one private personal training. Whether it’s just maintaining your level of fitness, achieving your weight-loss goals, redefining and shaping your body, I will be there to help motivate, coach, design fun and specific programs for all of your health and fitness needs. I look forward to assisting you on your fitness journey! AFAA Aerobics and Fitness Association of America Personal Training Cert. Learn more about Personal Training with Erica R. Submit your name, e-mail, address, city and any comments/ questions you might have.